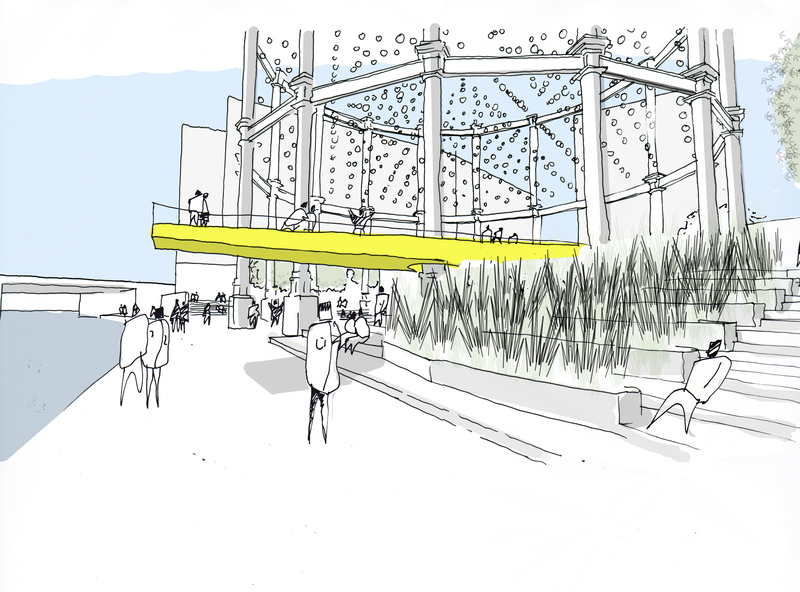 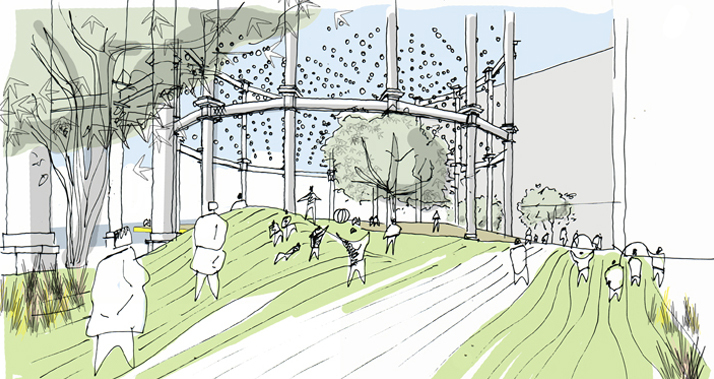 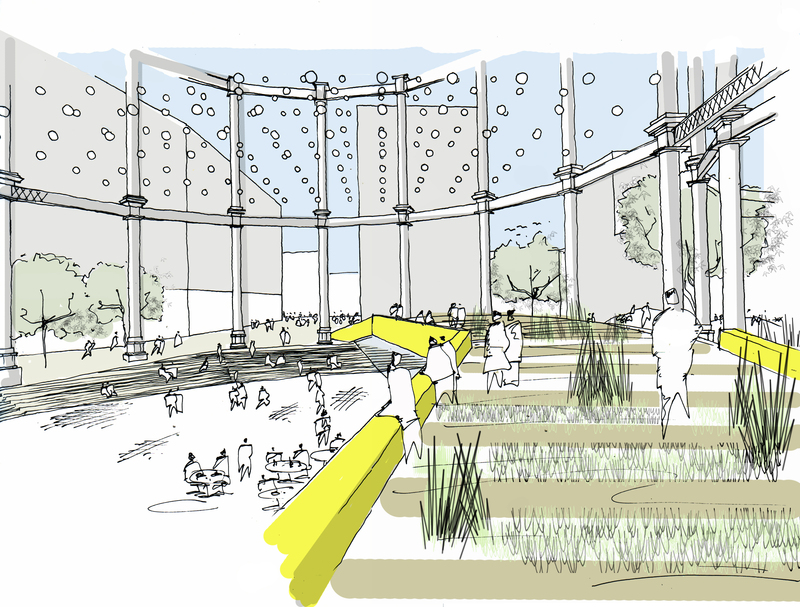 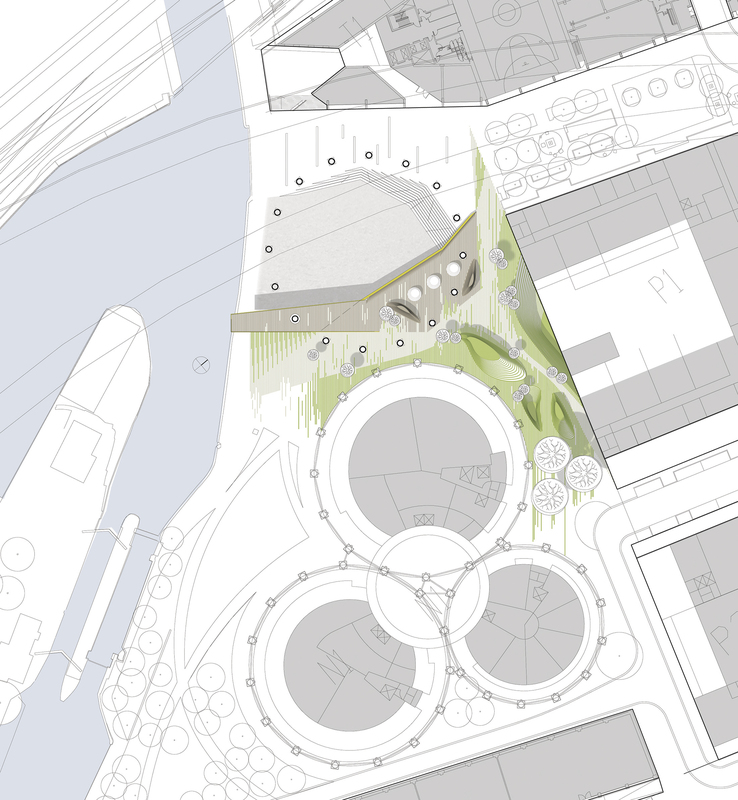 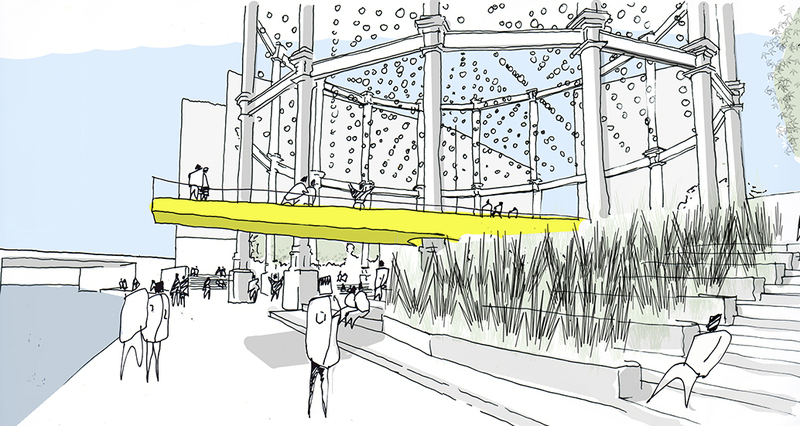 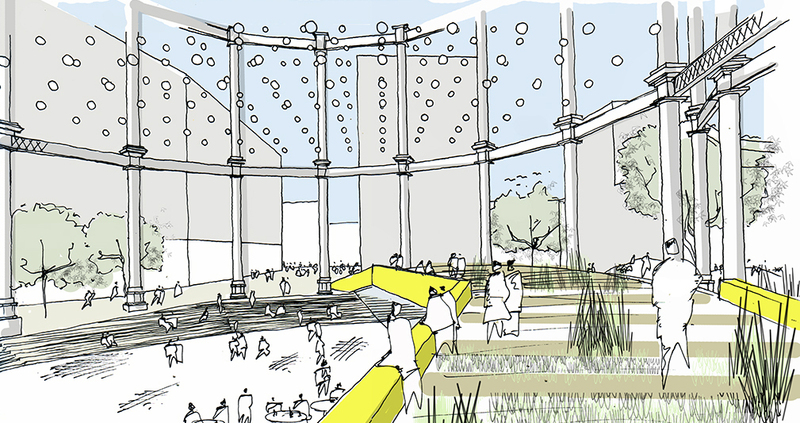 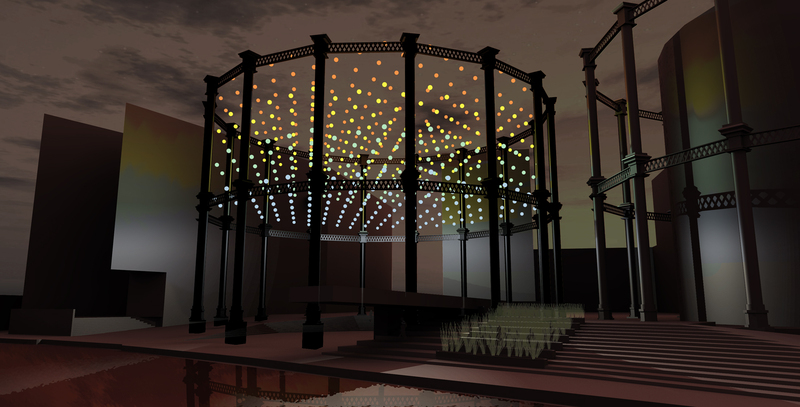 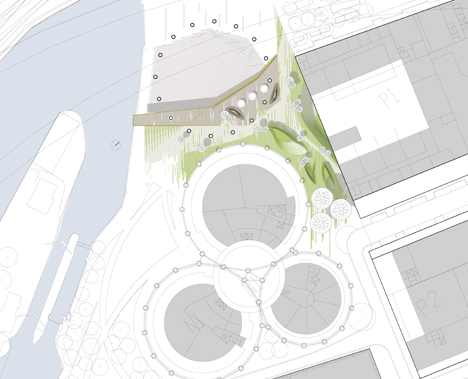 The Gas Light Park is conceived of as a surreal collage of Gasholder No. 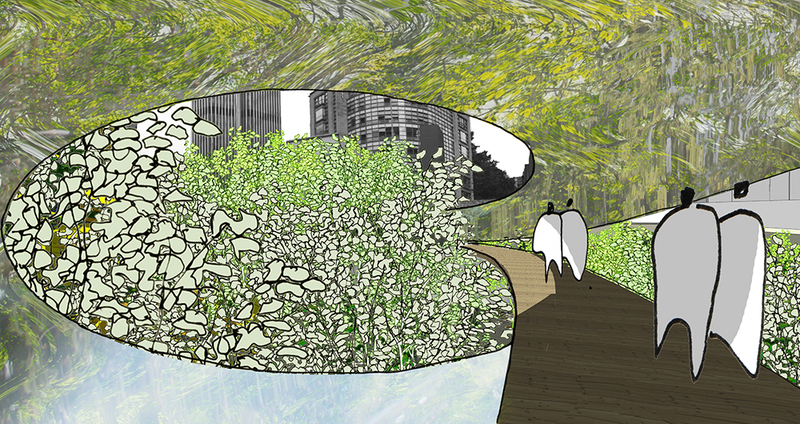 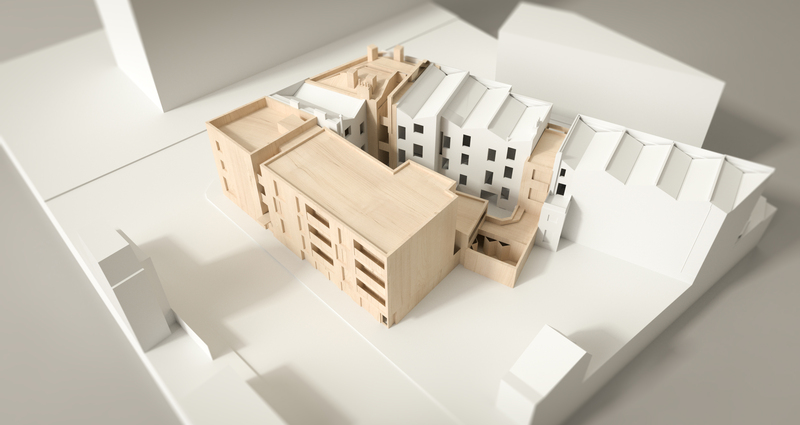 8 with two elements of abstracted nature; ground and sky represented by a folded landscape plane and an artificial light cloud. 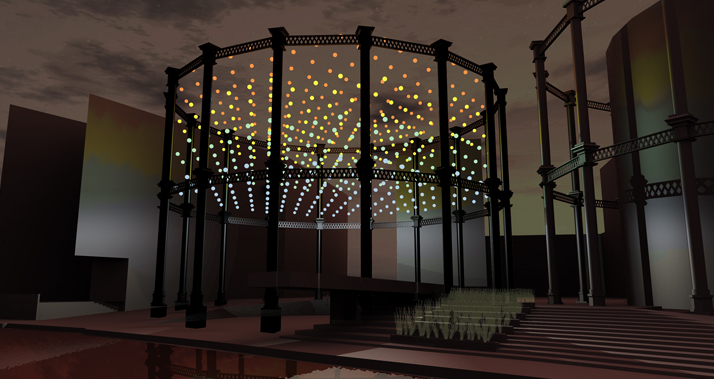 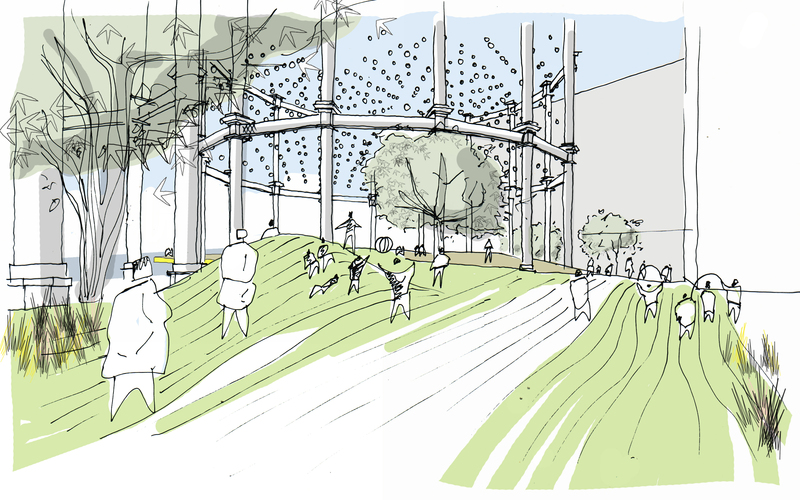 The light cloud celebrates the industrial heritage of the gasholder frame, accentuating its sublime scale and volume whilst the folded landscape introduces more familiar human scale elements to mediate between people and the park.